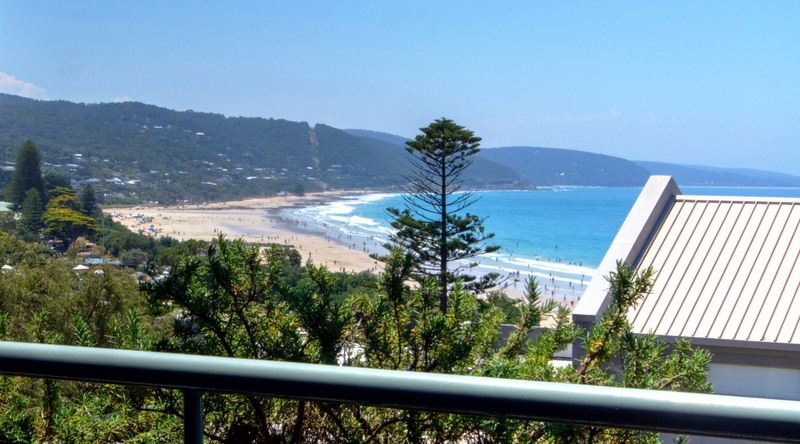 FEATURES SPECTACULAR VIEWS OF LOUTTIT BAY . 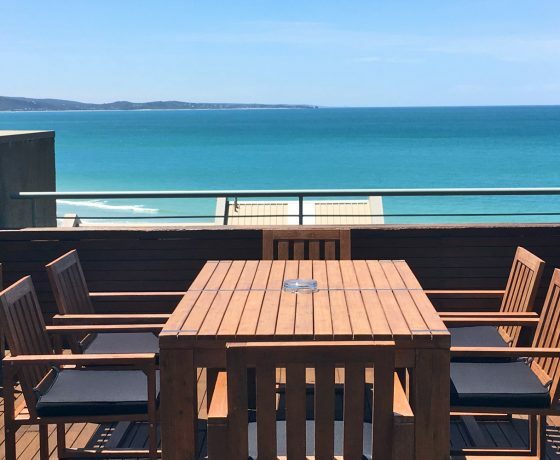 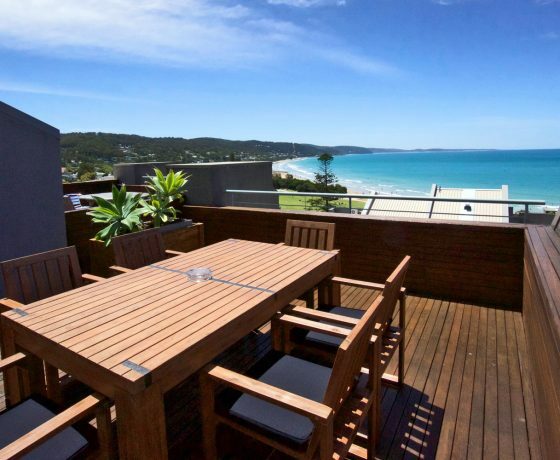 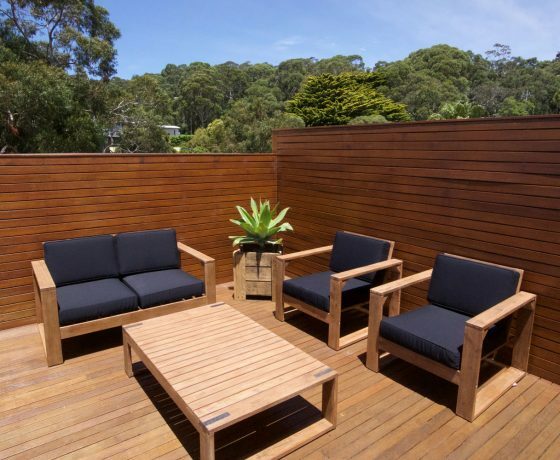 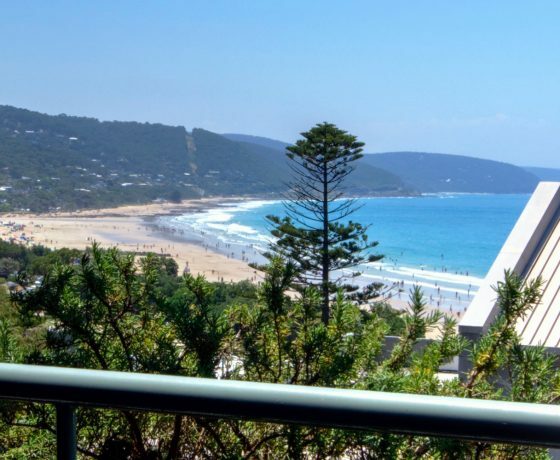 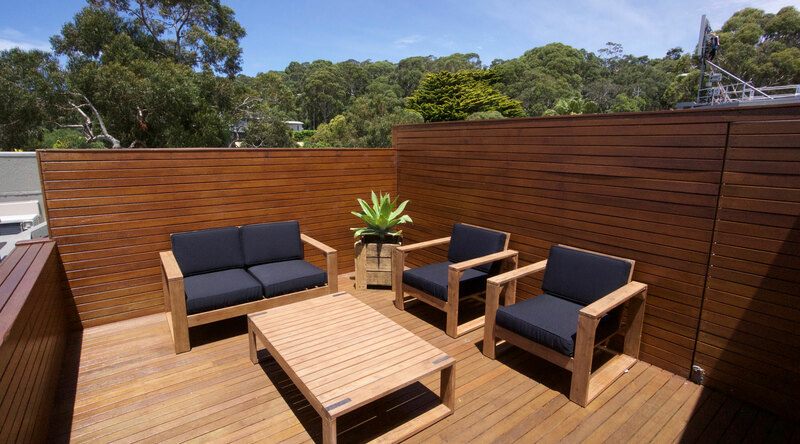 Penthouse 303 is a 2 storey luxury Apartment located in the heart of Lorne. 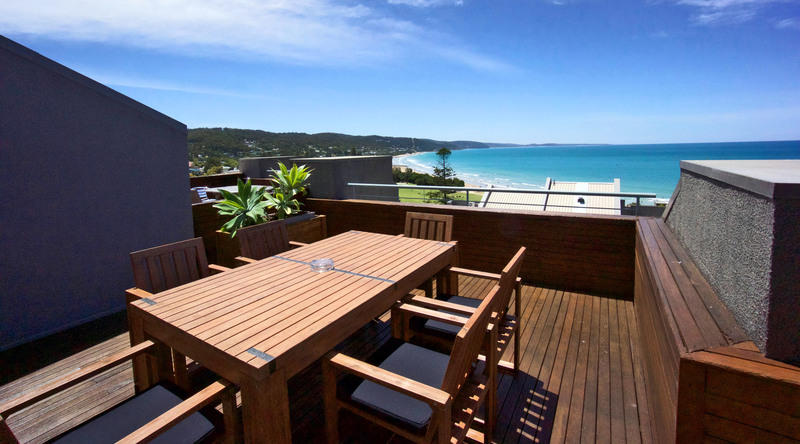 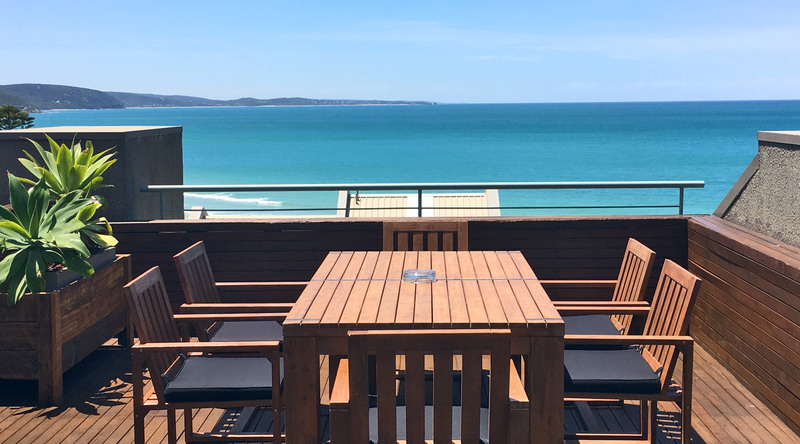 The apartment features spectacular views of Loutitt Bay from both the upstairs deck and smaller downstairs balcony. 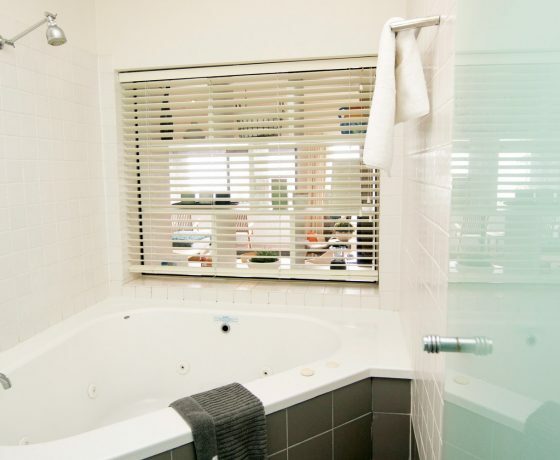 Swimming Pool, Tennis Courts, Squash Courts and Games room. 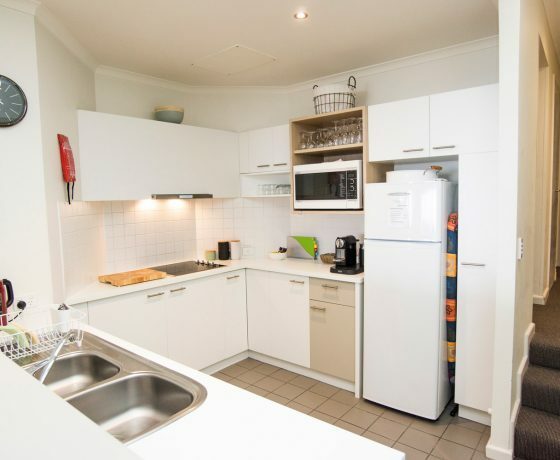 The apartment has one Underground car park with lift access provided although no wheelchair access available. 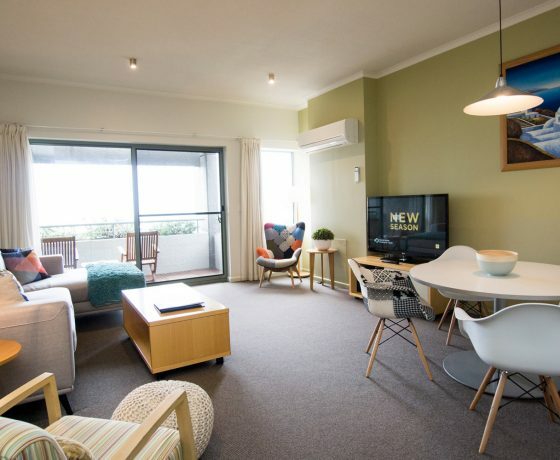 The Penthouse apartment is configured with a Large double deck, Master Bedroom and one Bathroom upstairs. 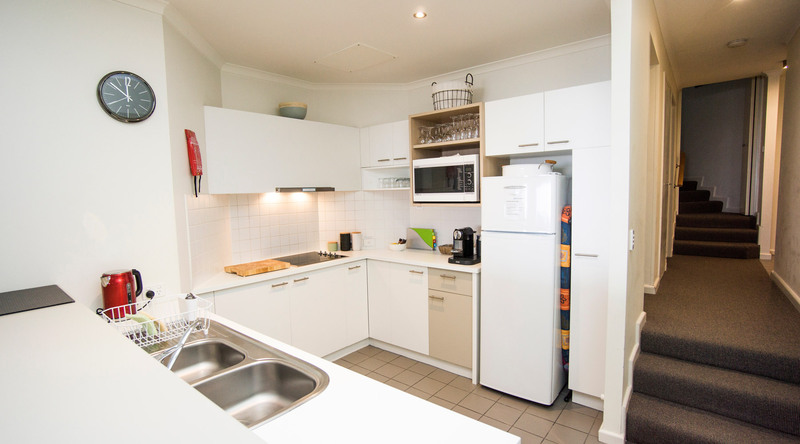 The Secondary Bedroom, Kitchen, Living area and another Bathroom with Laundry facilities is downstairs. 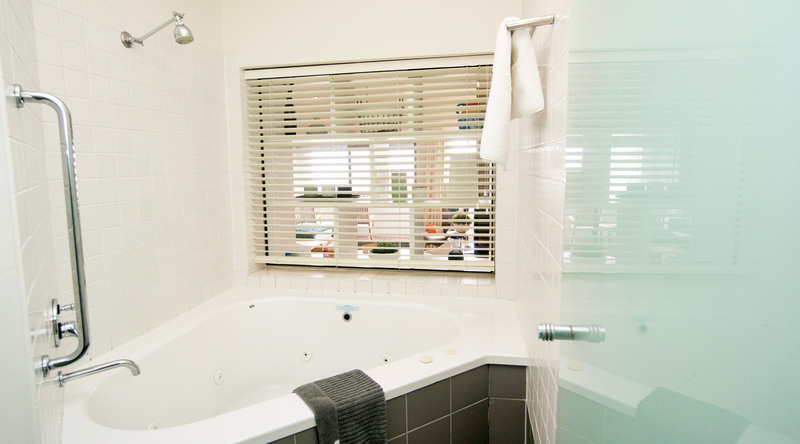 Each of the bathrooms has a spa bath. 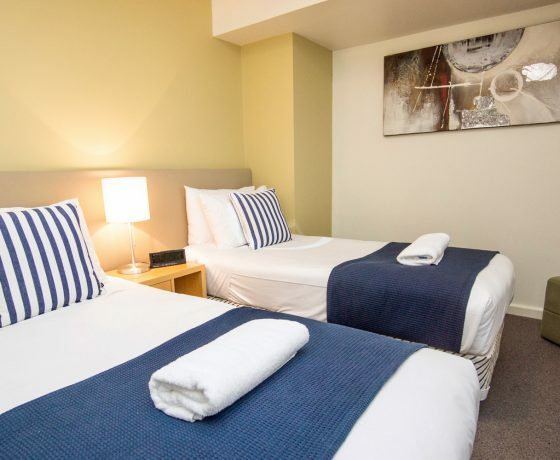 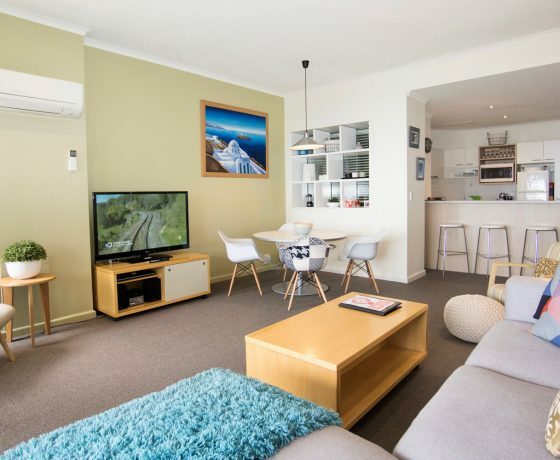 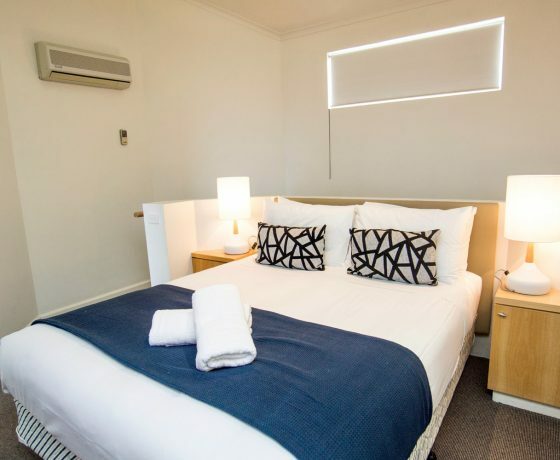 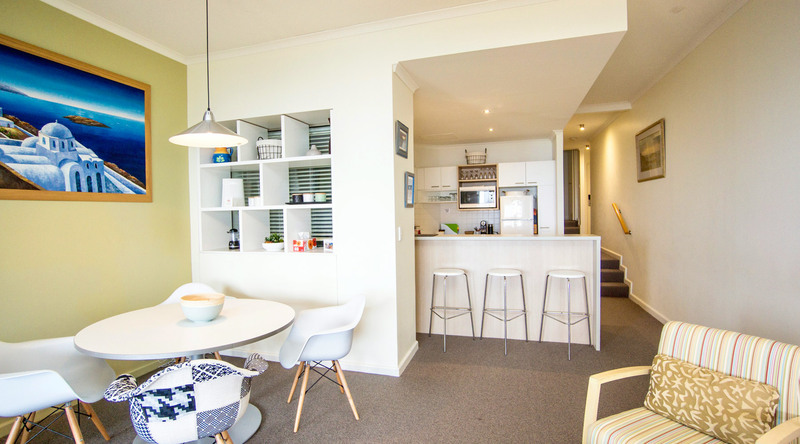 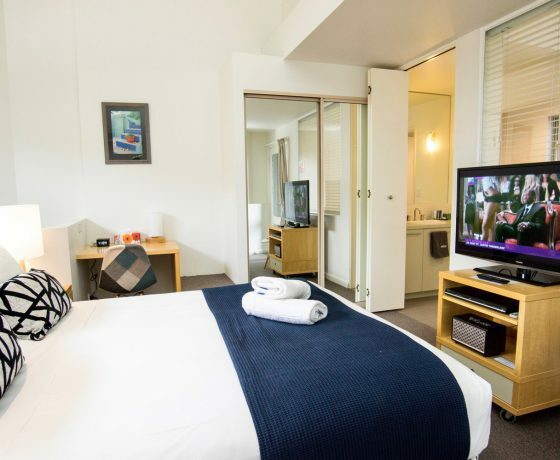 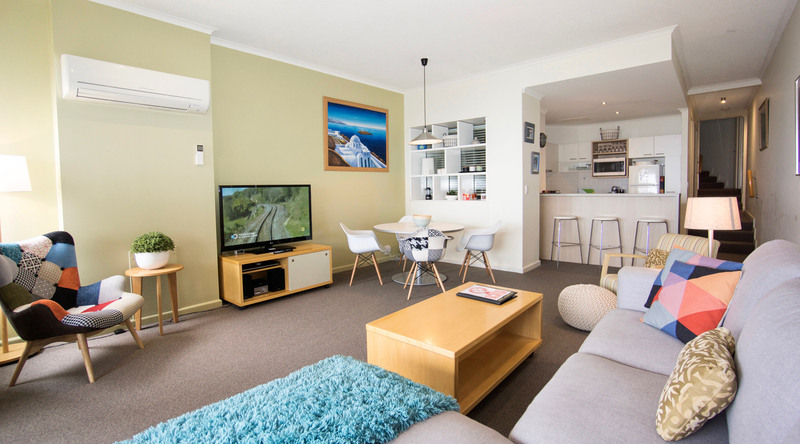 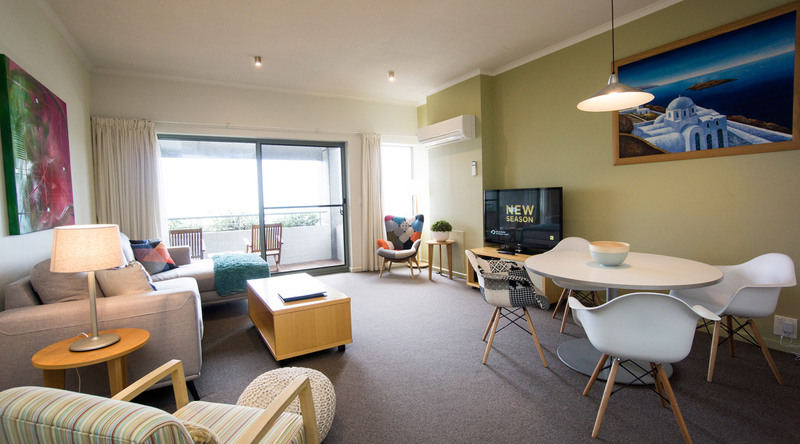 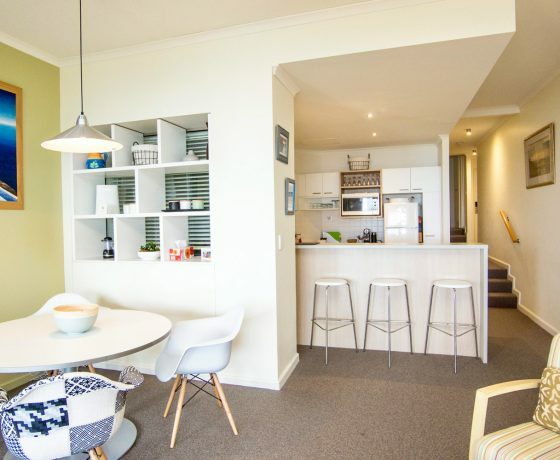 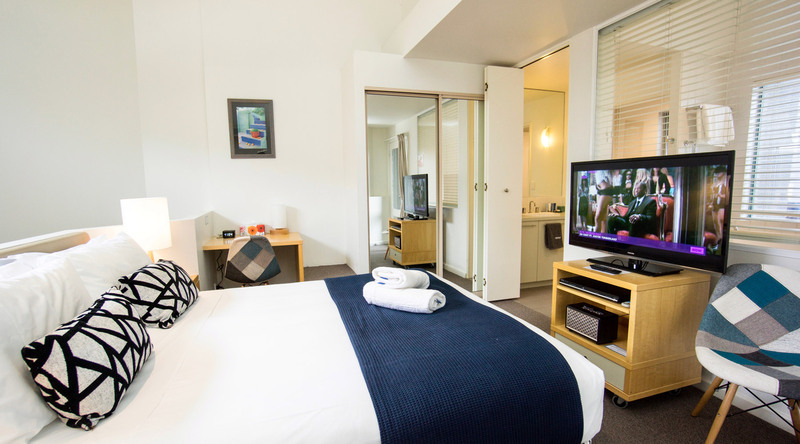 For our Guests convenience the apartment has private Free WIFI connected to the NBN and two Flat screen Televisions, one in the living room and one in the Master Bedroom. 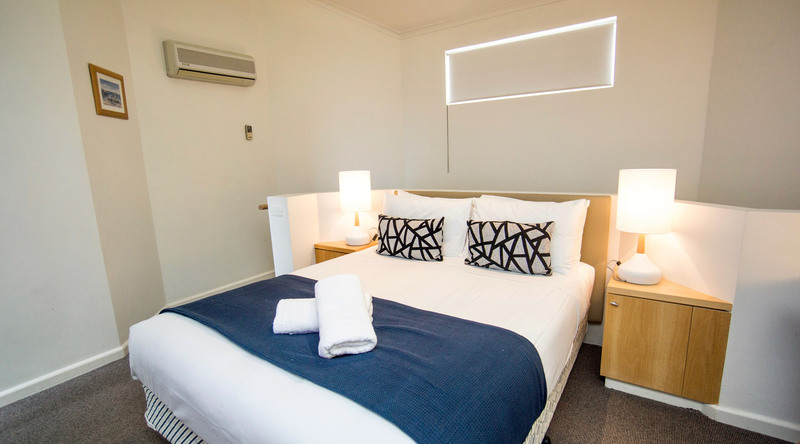 CHECK-IN IS CONDUCTED AT THE SANDRIDGE MOTEL LOCATED AT 128 MOUNTJOY PDE AFTER 4PM. 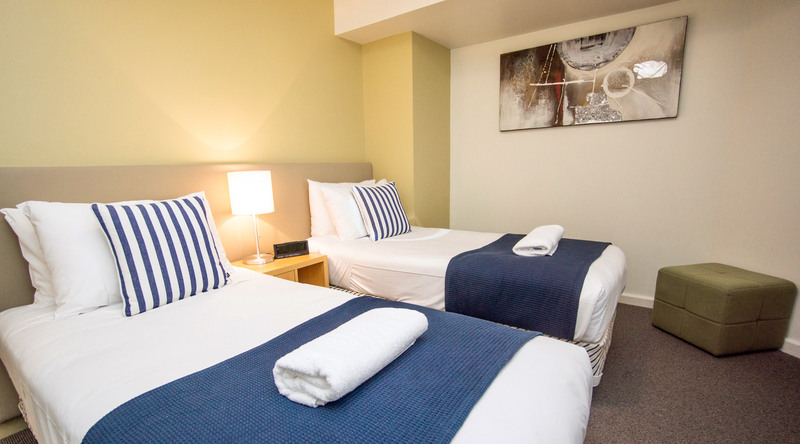 CHECK OUT ON THE DAY OF DEPARTURE IS NO LATER THAN 12PM.